Europe’s first private fast-train operator will list next month. The track Italo runs on is owned by Italy’s incumbent rail group, a competitor, and a 1.7 bln euro valuation assumes rapid growth. But low-cost efficiency and EU train liberalization provide a rationale. 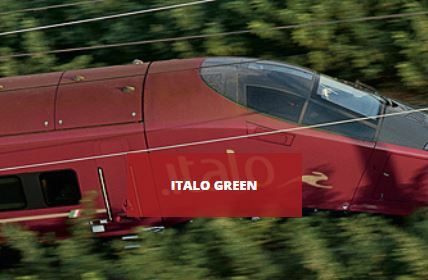 Italian private high-speed railway group Italo said on Jan. 23 it is offering between 35 and 40 percent of its shares in an initial public offering expected to be completed by February. The company is the first private operator of high-speed trains to go public in Europe. The group's unadjusted EBITDA stood at 142 million euros in 2017, up from 95 million euros in 2016. Net profit rose to 33.8 million euros from 32.7 million euros, while debt fell to 443 million euros in December from 538 million euros the previous year. The company has pledged to pay out between 50 and 70 percent of net profit as dividends in coming years. The board of directors won authorisation from shareholders on Jan. 19 to buy back up to 1 percent of Italo’s capital for up to 20 million euros.